Securing Cables - What are you going around? How long do you want your securing cables to be? This will be determined by the circumference of your supporting trees or posts. "Tree Friendly" Securing Cables are coated in PVC to help prevent the wire from damaging the tree. Step 2 - Main Zip Line Main Zip Line - How long is it? How long do you want your Zip Wire to be? This will be determined by the distance between your supporting trees or posts. Domestic 8mm 7x19 Shorter distances - perfect for your back garden. Commercial 10mm 7x19 Longer distances - suited to adventure playgrounds and tourist attractions. Premium Commercial 10mm 19x7 Less resistance - for those who want a faster and smoother ride. Main Zip Wire Length Please select... -- Domestic Zip Line (8mm 7x19) -- 10 Metres (£38.00) 20 Metres (£54.00) -- Commercial Zip Line (10mm 7x19) -- 10 Metres (£46.00) 20 Metres (£62.00) 30 Metres (£96.00) 40 Metres (£115.00) 50 Metres (£133.00) 60 Metres (£158.00) 70 Metres (£176.00) -- Premium Commercial Zip Line (10mm 19x7) -- 10 Metres (£75.00) 20 Metres (£105.00) 30 Metres (£135.00) 40 Metres (£165.00) 50 Metres (£195.00) 60 Metres (£225.00) 70 Metres (£255.00) If you require a longer zip wire length than listed above, please call one of our friendly wire rope representatives on +44 (0)1442 210749 and we will be happy to help. The Petzl P21 Tandem Speed Trolley is a high-quality zip line trolley. A long-time zip line and climbing industry standard, its lightweight aluminium housing and sealed ball bearings make it perfect for both domestic and commercial zip lines, providing excellent efficiency, speed and safety features making it a top-tier choice. Upgrade to Stainless Steel housing for maximum durability. Tension Devices (Turnbuckles) are an essential component of most zip lines. 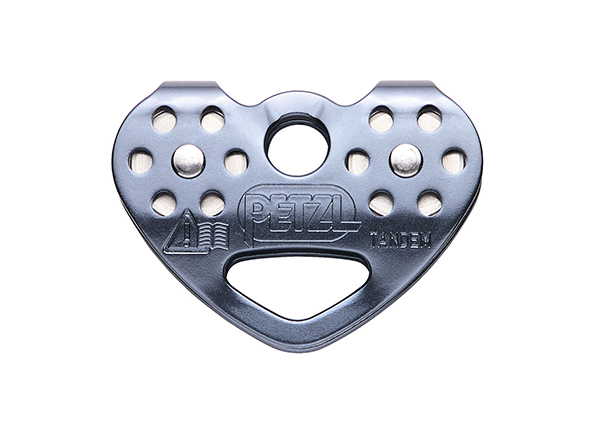 Primarily used for adjusting zip line tension once your zip line is operational and the cable stretches from use. The options available will depend on the main zip line you selected. Please Select your Desired Take Up Please select... 6" Take Up (£14.50) 9" Take Up (£17.50) 12" Take Up (£20.50) 18" Take Up (£48) "Take Up" refers to the amount of adjustment the tension device can achieve. Spiral Spring Brakes clamp onto the cable at whatever position you require. The spring compresses, slowing down the trolley until the trolley stops or the spring compresses to it's maximum. The options available will depend on the main zip line you selected. Step 6 - Accessories Accessories - Seat or Harness? 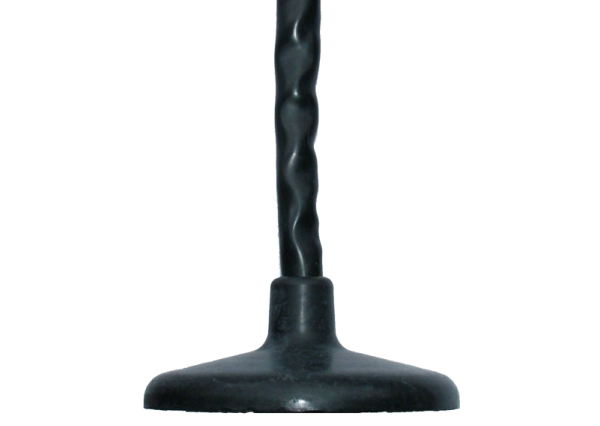 Our commercial grade pendulum seat has a protective rubber hose which covers a 2m long 8mm chain. The 25cm (10") round seat has 4mm steel insert inside, which is covered in a thick rubber to soften impact - Ideal for low-to-ground zip wires. 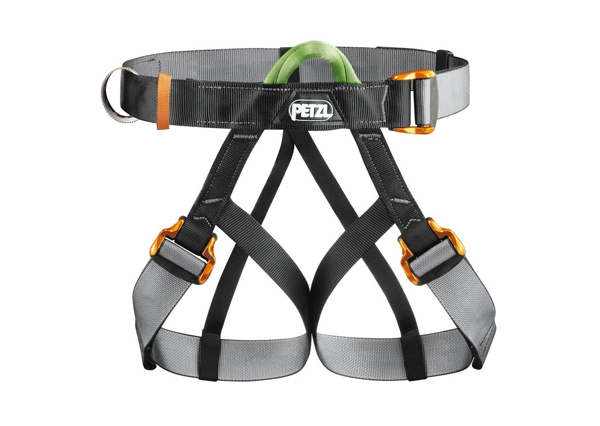 For maximum safety with zip wires high off the ground, we recommend upgrading to the Petzl Panji Leg & Body Harness. Robust and easy to use, the PANJI adventure park/zipline harness is a one size harness covering a very wide range of body sizes and works especially well with the included Petzl JOKO zip line lanyard. Step 7 - Summary Summary - How much does your bespoke kit cost? Is the Ø8mm zip wire suitable for adults? No, the Ø8mm cable is strictly to only be used for children on distances no longer than 20M. Any longer than this then a minimum of Ø10mm must be used. What is better a seat or harness? If you are travelling at low height and a small descended angle a seat would be the most suitable option. However if you are descending from height then we recommend a Harness & Lanyard. Do you have to drill through the tree? The kits we supply are completely tree friendly, the cable strops fit around the tree and are held in place due to the tension put on them. We also offer a tree friendly range of securing cables that are coated in a PVC plastic coating meaning that they do not damage the tree when they are tightened. I have a slope on my garden is this ideal for a Zip wire? Any installation should be carefully considered by the person(s) responsible for the install. As we offer supply only this is not something we are able to advise on, however guidelines indicate that the line must remain a minimum of 2M from the ground at all times. I have no trees in my garden what do I do? If you do not have any trees then you can have platforms or supports built these will allow you to install a zip line. This would however entail design of a bespoke zip wire frame which unfortunately we cannot offer. Why is the Premium option more expensive? The Premium option uses a 19x7 rotation- resistant wire rope construction. Due to the lay and make-up of the individual strands of this rope it results in a far smoother, faster and comfortable travel experience. What is the longest length for a commercial application? The longest length for the domestic zip wire that we offer is 20 Metres. For the Commercial and premium lines we offer lengths of up to 70 Metres as a standard offering, if you have any enquiries for longer zip lines please contact our sales team. What guarantee do the zip wire sets have? Our Zip Wire kits do not come with a guarantee as factors such as Installation, Environment and usage can influence the life of the zip line. What is the minimum recommended age for a zip wire? This is down to the responsible adult’s perspective, we would suggest that 8 years old is a good guideline age for safe use however each child can be very different. Can I use the Commercial Zip Wire Package in my garden? Yes, the commercial zip wire is perfect for use in a garden the difference being that it is more heavy duty, therefore it is perfect if you plan to get a lot of use out of it. How long does it take to install a Zip Wire? There are a lot of factors that effect this (Rope length, installers knowledge etc) this makes it very hard to give specific timescales. No, we do not offer an installation service however we can suggest that you try looking online, contacting a local handyman or a landscape gardener. How fast is a Zip Wire? There is no way to be specific with the speed of a zip line. Multiple factors such as the angle of descent, the length of the zip line and the weight of the rider can impact this. If you are looking for lower speed then simply install the line at less of an angle, if you want speed then increase the angle slightly. SWR Limited manufacture and supply all assemblies used for zip wires to the relevant BS & EN standards along with fully tested and certified components and can advise on all technical aspects of the wire ropes and fittings used. Please note SWR Limited hold no liability for any installs made using materials provided by SWR Limited that have not been safely installed using the correct professional guidance. We highly recommend referring to the following bodies and also the relevant BS standards when performing installs using any of these products.